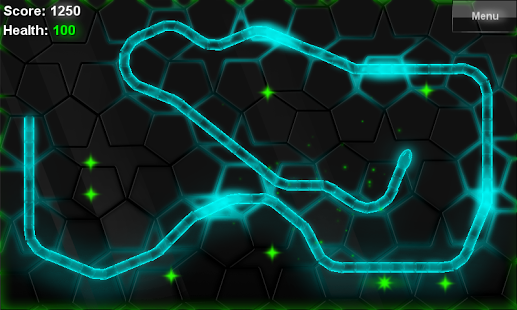 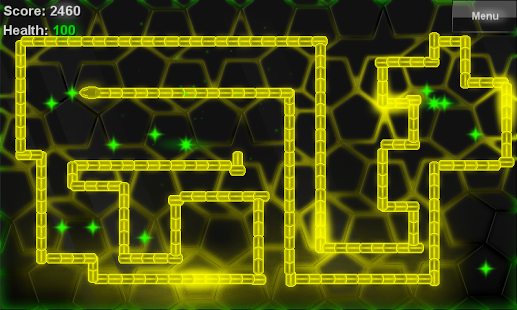 Play as a neon glowing snake and grow longer by collecting the green stars. 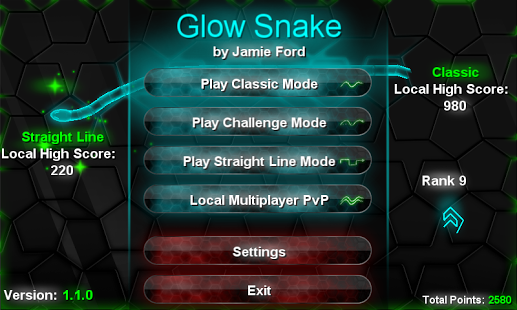 Glow Snake is a remake of the snake games with some new game elements and fancy glowing effects. 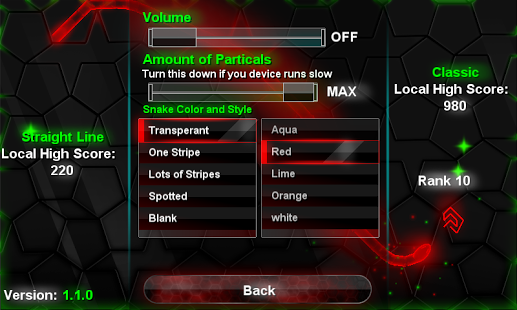 You can customize your snake and play 4 different game modes. 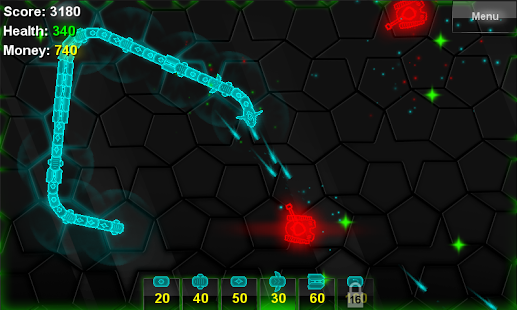 Now supports 2 player (Multiplayer) PvP over a local network. 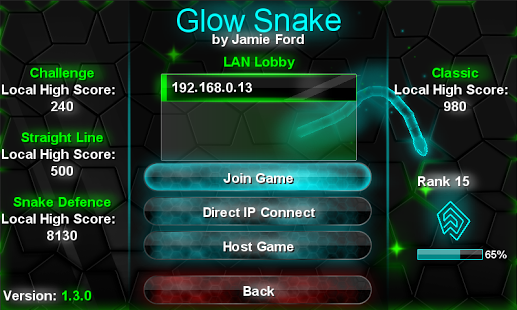 You can Snake off against your friends over wi-fi. 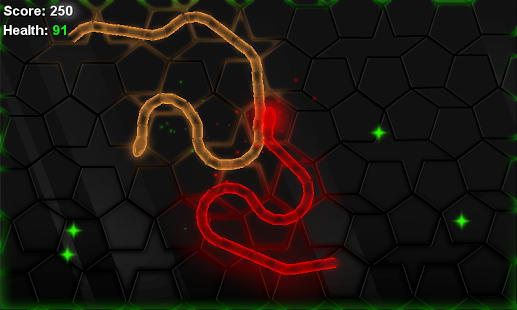 - LAN 2 player snake defence game mode.